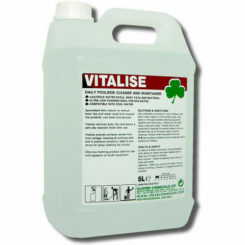 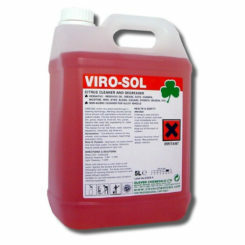 A highly concentrated alkaline pressure washer additive, used at 0.8% dilution at the nozzle. 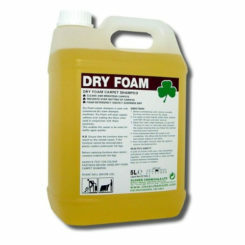 Designed with controlled foam levels to ensure a free-rinsing finish and effective degreasing action. 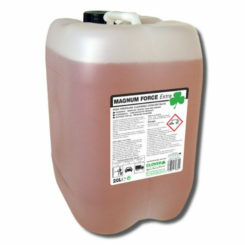 Excellent for removing heavy layers of traffic film, grease and dirt, and is ideally suited for removing built-up grease in the engine department. 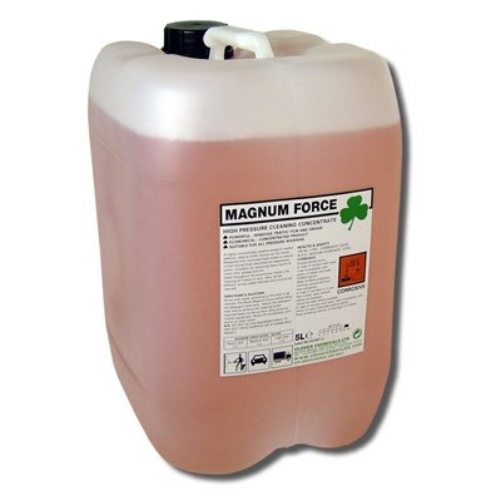 Magnum Force is used throughout the automotive industry for cleaning all makes of cars, vans, lorries, tankers, curtain-sided vehicles and commercial vehicles. Magnum Force is recommended for cleaning vehicles involved in the transportation of meat and foodstuffs, as it is non-tainting and odourless.